I don’t know about you but I do like to watch the odd rally that either: a) involves both players hitting the ball so hard that it appears to occasionally enter (and return from) hyper-space or; b) includes phases where the initiative shifts over time from one player to another, preferably mixed with a). Here are a couple of rallies from this year’s Grasshopper Cup in Zurich that fit the bill. The first, involving the reliably hard-hitting Simon Rosner of Germany and Gregoire Marche of France is definitely in category a). I feel tired just watching it. The second, involving Scotland’s Alan Clyne and Egypt’s Marwan El-Shorbagy is more of a category b) affair with an occasional sprinkling of category a). I lost concentration after counting 60 shots or so but I’m sure there were more. Of course, I do realise that it’s highly unlikely I’ll ever come across any memorable rallies that involve soft-hitting and, say, half a dozen shots. Although if I do, you’ll be the first to know. Thanks to PSA SquashTV for posting the clips. N.B. The first part of ‘Desert Places’ was published previously on this blog. 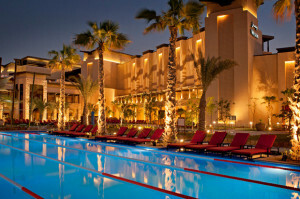 Three weeks after his meeting with Mr. Salter, William entered the lobby of the Intercontinental Hotel in Al Mussab. He was followed by a line of uniformed porters carrying his luggage. In one hand he carried a brown leather briefcase and in the other his kit-bag out of which stuck the handle of his squash racquet. It was a matter of personal satisfaction that he had prevailed upon Mr. Salter to arrange for the latter to be delivered to him in time for his first ever flight in an aeroplane, from Croydon Airport to Paris. The Foreign Editor had also been kind enough to assist William in compiling a parting telegram to his family which intimated that he had been sent on secret mission of national importance without disclosing by whom, for how long or where. In Paris, he had caught the Blue Train to Marseilles where he had boarded the Meonia, a ship of the East Asiatic Line bound for Aden by way of the Canal. The Meonia had seen better days. She been built in an era of steam navigation earlier than that of the other ships of the Line, and had been furnished for service among the high waves and icy winds of the North Atlantic. 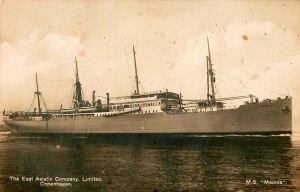 Late Spring in the Gulf of Suez was not her proper place or season. There was no space on her decks for reclining chairs and her cabins, devoid of fans, were aired only by tiny portholes built to resist the buffeting of an angrier sea. Yet William had managed to occupy his time profitably enough, familiarising himself with all things Al Mussabian aided by Mr. Salter’s hastily-compiled dossier. In the dining room, and for the exchange of day to day information, William’s command of French was just adequate. However, it was not strong enough for sustained argument with his fellow passengers and he had fallen into the habit of muttering ‘peut-etre’ with what he hoped passed for Gallic scepticism before turning his attention to the reading matter or meal in front of him. At luncheon on his second day at sea, William had encountered a fellow Briton. ‘Anyone mind if I park myself here?’ enquired the new-comer, standing by William’s table. William had looked up from his entrée to see an unprepossessing young man with sandy-coloured hair. His suit of striped flannel had once, as its owner was later to proudly disclose, ‘fitted snugly at the waist.’ Now, in the mid-day heat, it had resolved itself into an alternation of wrinkles and damp, adherent patches, steaming visibly. William’s fellow diners had regarded the new-comer with resentment but said nothing. Meanwhile, the object of their resentment had ordered the soup followed by the fish and, to the horror of the steward, a pint of bitter. William turned towards his fellow Briton, diner and journalist. William lowered his fork which had been about to deliver a prawn to his mouth. Corker looked at William sadly. He took it to Corker for translation. 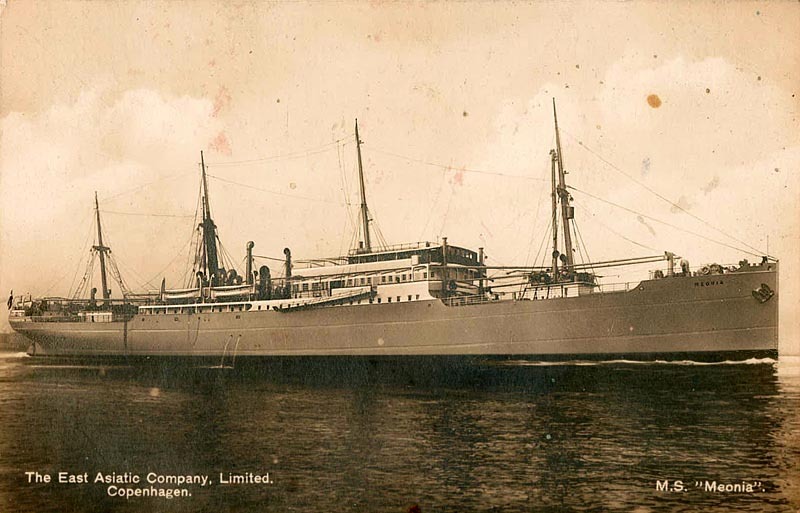 There had been two nights to wait in Aden for the Malaya. Corker disappeared into the bazaar and emerged with four carpets, three silk shawls, an amber necklace, a cigarette box inlaid with mother of pearl and a wooden carving of a camel. William visited the British Resident in an attempt to find out whether he knew what was happening in Al Mussab but was refused an audience. Fortunately, the Resident’s subordinate, a disshevelled young man in wire-rimmed spectacles, took pity on him and took him for a tour of the compound. 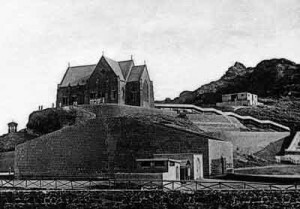 ‘Is that a squash court?’ asked William, pointing to a windowless building located beside the Anglican church. Later the same day, William had sportingly lost his match with the subordinate, and had learned that neither he nor the Resident had the faintest idea about what might be happening in Al Mussab. 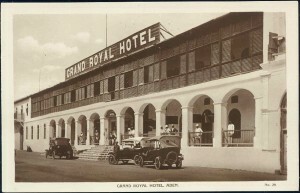 Back at The Grand Royal Hotel, he shared the news with Corker. They both sent telegrams to Fleet Street before returning to their hotel next to the Zoroastrian temple. Six days later, William advanced towards the reception desk of the Intercontinental Hotel. It was early evening. He had left Corker at the harbour attempting to secure transport suitable for conveying himself, his luggage and his en route purchases to the Liberty Guesthouse, wherever that was. As he approached the desk, William noticed two young men in local dress sitting at a nearby table, drinking tea. On the floor beside them lay two kit-bags, squash racquet handles protruding from both. Leaning forward, one of the men whispered to his companion, stood and approached William. He smiled and held out his hand. In London, it was the night of the Duchess of Stayle’s ball. John Boot was in attendance, confident in his belief that Mrs. Stitch would also be present. For half an hour he hunted her among the columns, arches and salons. The older guests sat in little groups, while the younger generation promenaded between buffet and ballroom in singles and couples. 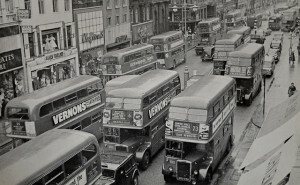 By eleven o’clock, many of the latter had departed for the night-spots of Mayfair and Soho leaving the supper room full of elderly, hearty eaters. John finally ran Mrs. Stitch to earth in the Duke’s dressing-room eating foie-gras with an ivory shoe-horn. She was accompanied by three elderly admirers who glared at him as he entered. Her three admirers gave their excuses and left, each securing her agreement to meet them at forthcoming operas, receptions and parties. The following afternoon, Mr. Salter chaired a meeting at the offices of The Beast to discuss developments in Al Mussab. 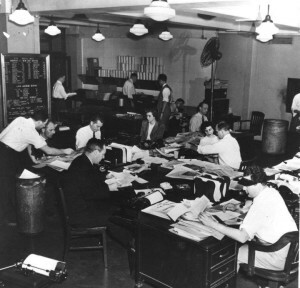 Mr. Salter looked at the Managing Editor who looked back at him. 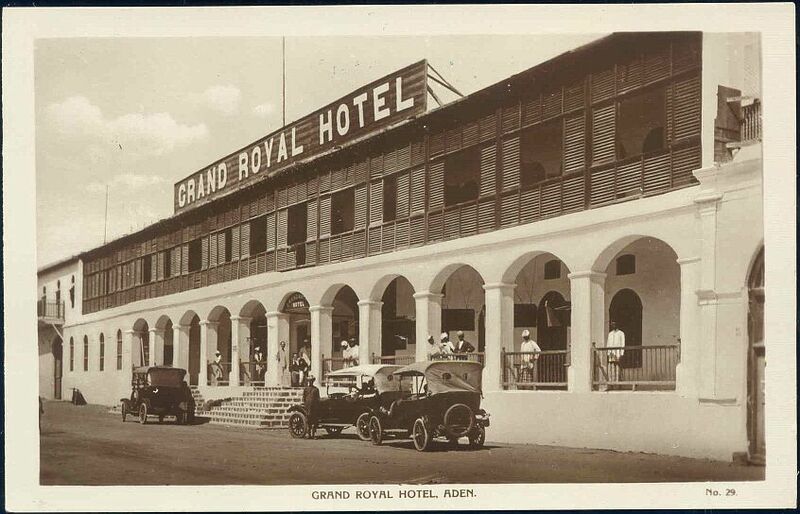 William’s first telegram from Aden had seemed promising, despite the fact that it had failed to confirm that there actually was any crisis in Al Mussab. Since his arrival in Al Mussab, however, his cables had focussed either on the weather (‘HOT’, ‘HOT AND HUMID’ and, most recently, ‘GETTING BETTER.’), the local cuisine, the prevalence of biting insects and the habits of camels. ‘…the weather may have got still better,’ said the the First Leader Writer bitterly. The First Leader Writer gave Mr. Salter a disapproving look. After the meeting, Mr. Salter spoke to the Managing Editor. William sat in the bar of the Intercontinental sipping a pre-prandial glass of dry sherry. The ceiling fans whirred silently, re-distributing the humid air around the room. 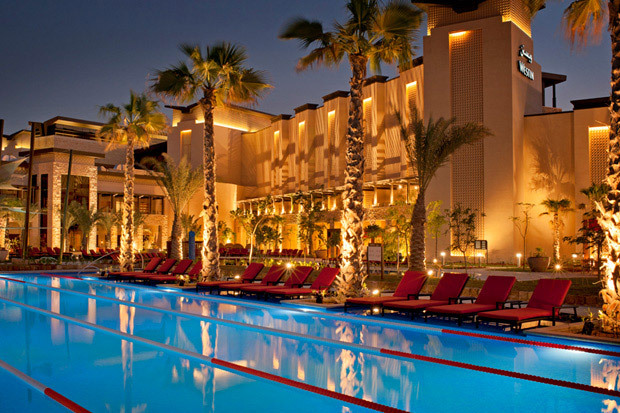 It was his third day in Al Mussab and had, in many ways, been much like the previous two. After breakfast, he had spent the morning in the main town of Al Mussab where he had been conveyed by a shabby yellow taxi driven, rather recklessly, by a shabby, middle-aged man wearing a white keffiyeh. Wandering aimlessly, yet slightly less aimlessly than the previous two days, he had come upon more official buildings all of which appeared to be shut. He had also mingled with the local residents as they browsed the shops, stalls and kiosks lining the traffic-clogged streets. Disappointingly, his exposure to Al Mussab’s fauna had been limited to the ubiquitous presence of biting insects and of ill-humoured camels pulling carts through its sand-blown thoroughfares. 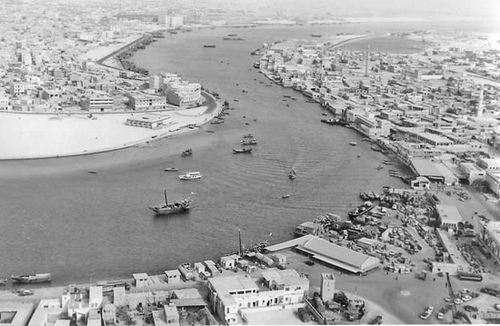 At noon, the hubbub throughout the town had given way to peaceful calm as the escalating heat of the day forced Al Mussab’s inhabitants indoors. William had, with some difficulty, managed to find a taxi to drive him the mile or so back to the hotel. There, he had composed cables for transmission to Mr. Salter, lunched and retired to his room where he could shower and perspire in private. Today as he was dressing for dinner, he had discovered a telegram pushed underneath the door of his room. He opened it. William had sensed that Mr. Salter wanted him to send him new stories at once. However, he was at a loss as to what ‘CRISIS COOPERATE UNNATURAL’ meant. He decided to ask Corker. As he was about to finish his sherry, he heard a familiar voice. Corker entered his field of vision and sat down opposite him, gesturing towards the bar steward. William took the telegram from his inside pocket and handed it to Corker. He handed William a crumpled piece of paper. William uncrumpled it. Corker paused to order a pint of bitter from the steward before settling for a dry sherry. The steward arrived with Corker’s sherry and handed him the check to sign. Corker scribbled on his check, entering William’s room number which he had spotted on the bronze tag of his room key lying on the table between them. William looked up. It was the steward. William and Corker sat very still. William looked at Corker who looked back at him. What is going on in Al Mussab? What will William report back to Mr. Salter? Evelyn Waugh‘s book ‘Scoop‘ was published in 1938. It is the supreme novel of the 20th-century English newspaper world, fast, light, entertaining and lethal. Remarkably, it’s a satire revered among successive generations of British hacks, the breed so mercilessly skewered in the book by Waugh, a one-time special correspondent for the Daily Mail. I’m not a betting man, but I’m guessing that quite a few visitors to the recent 2015 US Open in Philadelphia will have taken time out to have the bejesus scared out of them. With a schedule of events stretching from October 8th–17th, competitors and spectators alike would have had ample opportunity to visit an impressive range of ghostly local attractions in the run-up to Halloween. These included The Fright Factory, The Bates Motel and the The Valley of Fear – at least two of which offered visitors the opportunity to participate in (and, hopefully, survive) a zombie apocalypse. As someone who finds it tough sitting through the ‘previously on’ and opening credit sequences of The Walking Dead, I must say that nothing would induce me to enter enclosed spaces populated by creatures wanting to hunt me down, and from which I am likely to emerge only as an exhausted wreck. I just remembered I play squash. Thanks to the Visit Philly website and the US Open Squash 2015 website. At a relatively early age, John Boot had achieved an enviable reputation as a writer. His novels typically sold 15,000 copies, and even his unprofitable non-fiction works on history and travel had succeeded in furthering his literary reputation in all the right intellectual circles. His latest offering was a description of several harrowing months spent among the inhabitants of Tierra del Fuego, an experience only slightly ameliorated by a short period of recuperation visiting the tango salons of Buenos Aires. In London, Boot had many influential friends. The most valued was the celebrated Mrs. Algernon Stitch to whom, like all in her circle, he habitually brought his problems for solution. It was for this reason that, on a bright Spring morning, he called at her house near St. James’s Palace en route to a squash match at his club in Pall Mall. On the doorstep he encountered Mrs. Stitch’s husband clutching a crimson royally-emblazoned dispatch case and in the act of stepping into his chauffeured ministerial Daimler. ‘She’s in the morning room,’ said Stitch hurriedly. Boot found Mrs. Stitch dressed for the street despite it being barely eleven o’clock. ‘I want to get away from London, Julia’ he said despondently. ‘I don’t suppose it’s got anything to do with that American girl, has it?’ enquired Mrs. Stitch. Lord Copper, proprietor of The Daily Beast, knew of Mrs. Stitch. On more than one occasion he had seen her at a distance but now, as she approached him across the reception room, he wondered what she could possibly want. ‘I suppose she wants your sketch writer to lay off Algy,’ whispered his hostess, Lady Bamford, as she moved tactfully away. To his surprise, Lord Copper found himself entranced by Mrs. Stitch’s conversation. 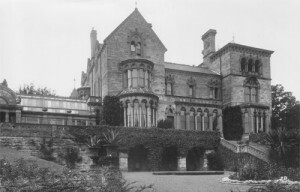 She expressed concern about the ‘worrying situation’ in Al Mussab, of which Lord Copper was completely unaware even though he gave his opinion that civil war was inevitable. She also remarked how few famous foreign correspondents still survived, and bemoaned the dearth of young journalists who could write stylishly about the true nature of events both on the ground and behind the scenes. Lord Copper found himself agreeing with Mrs. Stitch whole-heartedly. ‘Who are you sending to cover the story?’ she asked. Lord Copper suddenly became Boot-aware. Half an hour after leaving the luncheon, Mrs. Stitch telephoned Boot at his club. He was lunching with his old friend and long-term squash partner the Honourable Frederick William Charles. Boot felt as though a great weight had been removed from his shoulders. He returned to the dining room with a spring in his step and shared the good news with his lunch companion. It was turning out to be a good day after all. That evening, Mr. Salter, foreign editor of The Beast, was summoned to dinner at his chief’s country seat. As he drove to Lord Boot’s frightful mansion, he thought sadly of his care-free days editing the Woman’s Page. His ultimate ambition was to take charge of the Competitions Page, yet here he was, languishing as Foreign Editor. Mr. Salter hadn’t been thinking of sending anyone to cover a war he hadn’t, until that moment, heard of in a place which he also hadn’t heard of. He improvised. The following day, Mr. Salter went to work at noon. He found the Managing Editor reading The Beast’s Sports Page. ‘Who’s Boot?’ asked Mr. Salter at last. ‘I know the name,’ said the Managing Editor. Mr. Salter listlessly turned the pages of the morning edition of The Beast. He perused the newspaper’s bi-weekly column devoted to Nature. William Boot extracted his kit-bag from the disorganised heap in the bar of the Old Cromwellians Squash Club. The handle of his racquet (which was sticking out of his bag) banged him in the knee as he did so bringing an un-Boot like exclamation from his lips. He had spent a pleasant evening losing a league match to a local farmer before partaking of a half-pint of excellent bitter brewed locally by another club member. Now, he felt ready to drive along a series of unlit pot-holed country lanes back to Boot Magna Hall, the ancestral seat of the Boot family. He bade the other occupants of the bar goodnight, stepped into the cold night air and made for his modest Austin motor car. As he drove, William pondered the current standings in his squash league (he was bottom), the state of the local countryside (still boggy after an untypically wet March), and the subject of his next Country Places column (a choice between the habits of the water vole and a profile of the new Master of Foxhounds for the South Wiltshire Hunt.) He had inherited his editorial position on the column from the widow of its previous holder, the Rector of Boot Magna, without even having to go through the inconvenience of meeting, or even corresponding with, anyone connected with The Beast. Having the position was of the utmost importance to him and gave him the best possible excuse for remaining in the countryside, observing its wildlife and playing squash. On his arrival at the Hall, he carefully deposited his kit-bag beside the coat stand avoiding further injury from the handle of his squash racquet. As he did so, his Uncle Theodore emerged from the library holding a large glass of brandy. He seemed agitated. He lifted the telegram from its resting place, opened it and read. William re-read the words with an increasing sense of dread. REQUEST YOUR IMMEDIATE PRESENCE HERE URGENT LORD COPPERS PERSONAL DESIRE SALTER BEAST. After an early breakfast, William left for the station. Almost all of his family stood on the steps of Boot Magna Hall to see him off. His mother and sister wept. His Aunt Josephine’s motor car waited to carry him to Boot Magna station. Uncle Theodore attempted to accompany him but was detected and stopped. His father remained in his study. At the station, he caught the eight twenty-seven slow train, arriving at Paddington at a quarter to eleven. A black cab conveyed him through the living hell of London and deposited him outside The Beast’s imposing offices at 700-850 Fleet Street. Feeling increasingly nervous, William negotiated the revolving doorway, entered the Byzantine vestibule and proceeded to the reception desk. Behind it sat a uniformed and be-medalled concierge. William handed over his heavily-perused telegram and five minutes later found himself in the office of the Foreign Editor. Mr. Salter greeted William cordially. ‘Are you sure?’ asked William. They sat opposite one another in Mr. Salter’s office. 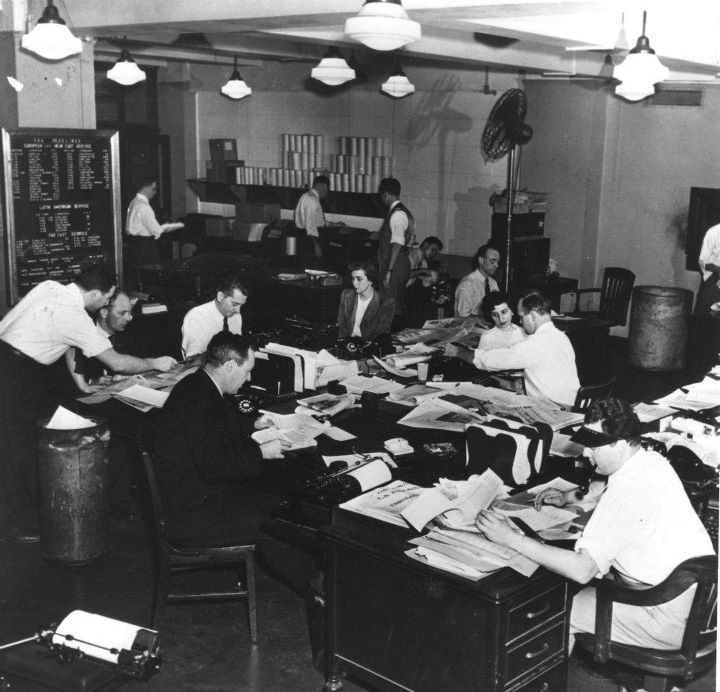 Between them, on the desk, lay an atlas, open at the page where Mr. Salter and the Managing Editor had successfully located Al Mussab. He attempted a second ice-breaker. Mr. Salter’s understanding of ‘the countryside’ was confined to what could be seen from the window of a train travelling between Waterloo and Woking. He attempted a non-countryside ice-breaker. Mr. Salter decided to take the initiative. Mr. Salter pointed triumphantly to Al Mussab’s precise location in the atlas. ‘The Prime Minister?’ said William. Mr. Salter realised that William knew nothing about Al Mussab, let alone anything about a potential civil war there. He decided not to mention it for the time being. ‘Ah, yes, I thought you might want to know more about that,’ he said. Mr. Salter began to warm to his task. William had begun to look interested. ‘He wants you to write about the Arabian countryside,’ announced Mr. Salter. Mr. Salter leaned forward over his desk, looked furtively around his office and lowered his voice. William’s mouth fell open. Mr. Salter leant forward again for final effect. He tapped the side of his nose with a fore-finger. William nodded weakly, his position as editor of Country Places slipping from his grasp. Mr. Salter pressed home his case. ‘Fifty pounds a month?’ said William, goggling. William sat in stunned silence as Mr. Salter administered his coup de grace. William nodded. He could see no alternative than to agree to Lord Copper’s request. He would have to consult his family of course; that would take a week or two. Then, he would need to buy new clothes suitable for working in Arabia, whatever they might look like; he would also need to find a temporary editor for his Country Places column, which could take some time; and he would have to arrange and play the final two matches in his squash league. He had much to do. On the squash court of the Intercontinental Hotel, Hassan Bin Rashid Al Nahmi’s weekly match with his cousin, Abdullah, had gone to a fifth game. Abdullah had won the fourth with his trademark forehand volley-drop into the front right-hand corner, but now Hassan’s superior court coverage was finally beginning to tell. He won the final game by nine points to four and with it the privilege of buying tea and fresh figs for his vanquished opponent. ‘Is your family well?’ asked Hassan. They both sipped their tea and fingered their prayer beads. ‘Have you heard from your cousin in London?’ asked Hassan. Hassan decided see whether his father mentioned a crisis at the family’s evening meal, which reminded him that he was hungry. He finished his tea and picked up his kit-bag and racquet. In the hotel’s careworn lobby they waited for their chauffeured Bentleys to arrive and convey them to their family residences. ‘Same time next week?’ said Hassan. They sat in contemplation, watching for headlights approaching along the coast road. ‘Do you remember the name of the man who is supposed to be coming to Al Mussab?’ said Hassan. Which Boot, or Boots, will arrive in Al Mussab and what will they find? Will Mr. Salter realise his mistake? Will Lord Copper discover that Mr. Salter has made a mistake? What crisis will befall Al Mussab? I’ve based John Boot’s club in London’s Pall Mall on the Royal Automobile Club whose premises have housed squash courts since the 1930s. It may surprise you to know that in the mid-1930s the soft-ball version of squash appears to have been pretty well established in the US as well as the UK. The evidence comes in the form of three video clips you can view on the website of British Pathé. Pathé News was a producer of newsreels, cine-magazines and documentaries in the UK from 1910 until 1970. Its founder, Charles Pathé, was a pioneer of moving pictures in the silent era. The Pathé News archive is today known as “British Pathé” and, in April 2014, the company uploaded its entire collection of 85,000 historic films to its YouTube channel as part of a drive to make the archive more accessible to viewers all over the world. The first video shows two men on court at a “recently opened” facility in Hampstead, North-West London. They wear similar clothing to that worn by many tennis professionals of the era. The clip ends with two women, Mrs. Brian Wolfe and a Mrs. MacKechnie, playing a rally. The second clip, dated 1937, is somewhat of a novelty item. It shows a rally between two men, one of whom is wearing roller skates “as a handicap.” The skater is revealed as Charlie Arnold, a “famous Bath Club pro” and his opponent as Mr. Arthur Wood, the squash professional at the St. Regis Hotel Club. The whereabouts of the St. Regis Hotel is not identiified although the West Country of England may be a possible location. The second part of the video shows woman using an exercise bicycle on a squash court. It is electrically powered, so that when she pedals, the seat rises and the handlebars go back and forth providing her with a full body workout! The less said about the commentary accompanying this sequence, the better. The final clip shows action from the 1938 US National Open Squash Racquets Championship. The players are identified as Johnny Summers and Ben Pope (in shorts), Summers being revealed by the commentator as being the eventual winner of the title. Thanks to British Pathé and to Wikipedia. You will have a promising start to the year when you briefly lead your squash club’s internal leagues due to all of the top 23 players being injured, out of the country on ‘business’, or suffering from the Ebola virus contracted from the staff of the local Liberian restaurant. Later in the year you will have your racket re-strung after using it to fend off a swarm of killer bees during a knock-up with your then girlfriend. During a session of your squash club’s weekly round-robin, you will take a hard-fought game off a 16-stone guy who once soundly beat a 9-year old Ramy Ashour back home in Egypt, leaving him in tears. That’s Ramy, not the 16-stone guy. Later in the year, you will discover that the father of the Middle Eastern-looking kid you’ve been regularly thrashing at the same round-robin is a known Taliban leader. This is the year when every single one of your gambles, both on and off the squash court, will pay off. Actually, no, come to think of it that was last year. Sorry. You will make a special effort to improve your personal grooming. However, you will realise that your new haircut is unsuccessful when the guys at the squash club changing room keep asking if you’ve had brain surgery. On the transport front, when you take your car in for its annual road-worthiness assessment, the only test it passes is the “Isn’t on fire” one. After you complete a gruelling programme of coaching sessions to improve your focus and hone your killer instincts, a long-term squash opponent and bitter rival suddenly begins to read something into your on-court body language. Then again, it could be the fact that you’ve tied him to a chair on Court Two and are dancing around waving a flick-knife with “Stuck In The Middle With You” playing on your portable sound system. A quiet year. You will replace your double yellow dot ball. You will decide that you want to be able to see your feet when taking a shower and start to focus exclusively on your health. You eat less, exercise more and get plenty of sleep. As you become fitter, your stamina, court coverage and reaction times improve dramatically, leading to an upswing in form. As you climb the club squash leagues, you are invited to join the second team at around the same time your sister offers to fix you up with some of the “cute girls” at her gym. You date a series of unsuitable women all of whom turn out to have convictions for assault, develop insomnia and put on two stones. You belatedly realise that your sister has always secretly hated you and will stop at nothing to ruin your life. Nothing. This year all your efforts trying to write the perfect squash-themed novel will finally pay off when you find yourself signing copies in the city centre branch of Barnes & Noble from mid-day until they catch you doing it. You know that bit in rom-coms where the ridiculously hot girl ends up with the unconventional-looking guy because he really “gets her” and makes her laugh? And you know that girl down at the squash club you’ve been mooning over for the last two years? Yeah, well next year that’s not going to happen. You read that surveys show that people find moving house even more stressful than attending a funeral. When your best squash buddy asks you to help him move, you will decide that there’s only really one option. You will decide to lay off the post-match drink for a while when your hangovers move from being merely crippling to plumbing the depths of a howling, nihilistic vortex filled with pure pain and endless death. At least on Tuesdays, anyway. You will finally decide to follow the same principles in your squash-playing life that have helped so many people in their personal and business lives. In other words: Prepare to fail and you’ll always…no, hang on. Don’t fail to prepare and you’ll fail to…no, that’s not right, either. Damn, I had it a minute ago. Thanks to the “Psychic Bob” column in The Daily Mash. By the time I was offered my first ‘proper’ job in The City I’d already got form. There’d been a couple of years working on projects for The Giant Vampire Squid on Fleet Street, helping them clear up the mess after they’d been found guilty of aiding and abetting one of their more financially creative clients. Then there was a similar stint with The Thundering Herd, coaching some of their back office people in the creative pursuit of evidence which could help the firm show that their very own Masters of the Universe had been conducting business in a way that was entirely above board, or not. And, yes, there’d been other short-term gigs for investment banks, for retail banks, and even for brokerages. I had City form all right. Then there was the other kind of form, the squash kind. I’d been playing for more than 25 years, during which time I’d usually managed to arrange one or two matches a week, irrespective of where in the world I was working. Of course there’d been a few squash-free periods (the time I spent working in Texas springs to mind) but, all in all, I couldn’t complain. So, by the time I was offered the proper job, I was already primed to respond positively to any offers which would enable me to maintain a healthy work / squash balance. It just so happened that the job on offer was based in London’s Canary Wharf, then the venue for a recently announced international squash tournament. And it also just so happened that, in the basement of the building in which I would be working, were the only two squash courts in Canary Wharf. I took the proper job. 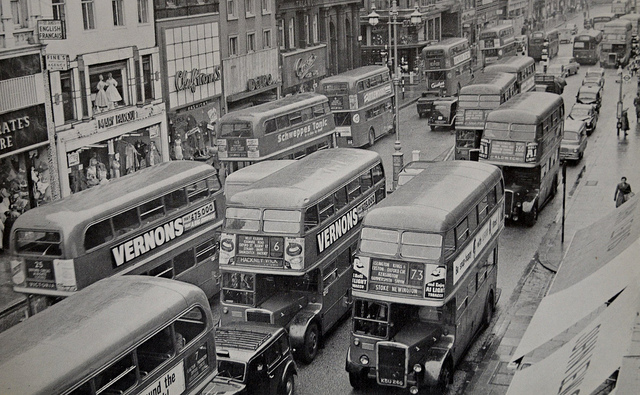 I spent much of the next ten years or so working and studying in and around London. I played on the basement courts and at a squash club located within walking distance of where I was living at the time. Most years, I even managed to get to at least one session of the Canary Wharf Squash Classic, as my local international tournament was now called. 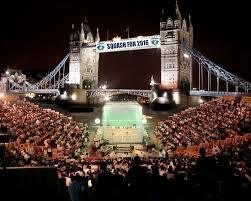 In 2013 it was the semi-finals – and a full house. 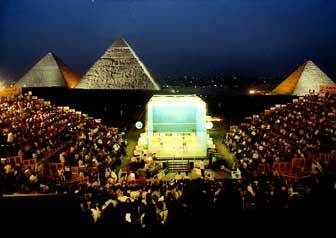 The first match ended in a 3-1 victory to England’s James Willstrop over Egypt’s Mohamed El Shorbagy, the knowledgeable and suitably refreshed audience showing its appreciation. But it was the second match which saw overwhelming audience support for local boy Peter Barker in his match against reigning Canary Wharf Classic and British Open Champion Nick Matthew. Barker, born in the East London Borough of Havering had previously beaten Matthew only once in 21 attempts. But, in a physical match lasting 69 minutes, Barker ran out the eventual 3-1 winner to take his place alongside Willstrop in the final. The applause echoed round the packed arena for several minutes before Barker could begin his post-match interview. 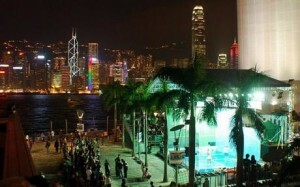 Squash in the City may be international, but when the City boys turn up, it’s personal – and it’s always going to be local. Thanks to World Squash for its review of the Canary Wharf Classic 2013 semi-finals. In winning the squash men’s singles gold medal at the 2014 Commonwealth Games in Glasgow, England’s Nick Matthew repeated the feat he had first achieved at the 2010 Games in Delhi. The Delhi final was Matthew’s first as it had been for his opponent, fellow Englishman James Willstrop, who was also destined to finish as silver medallist in Glasgow. Yet Matthew’s achievement in reaching two consecutive finals was not exceptional. 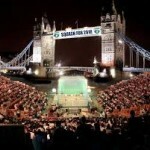 The previous three men’s singles finals had all featured another prominent Briton and erstwhile England representative. Born in Inverurie, Aberdeenshire, Nicol represented Scotland in the 1998 Games in Kuala Lumpur, the first in which squash made its appearance. In a tight five-game match, Nicol beat Canadian – and reigning World Open champion – Jonathon Power to the gold. By the time both players had again reached the final four years later, Nicol had switched his allegiance to England, claiming that he felt he was not receiving sufficient support from Scottish Squash, his sport’s national governing body. Unsurprisingly, many of Nicol’s compatriots resented this switch, even going so far as calling it traitorous. To the satisfaction of some, perhaps, Nicol lost 3-1 to Power in the gold medal match. Amazingly, four years later and still representing England, Nicol reached his third consecutive men’s singles final. This time, it was in Melbourne where, once more, he met a reigning World Open Champion in the form of Australian David Palmer. In a tough four-game final, it was Nicol who outlasted the tenacious Palmer to take gold. Amongst the team-mates congratulating Nicol as he came off court in Melbourne was Nick Matthew, the newly-crowned British Open champion. Matthew was to finish outside the medals in fourth place but four years later would start his own gold collection. Nicol himself had announced his retirement shortly after his success at the 2006 Games, a quarter-final defeat in that year’s World Open being his last competitive match. But what of 2018 when the Games are due to be staged in and around Brisbane on the Australian Gold Coast? Well, I certainly wouldn’t bet against an Englishman reaching the men’s singles final. After all, he might not be. To find out more about the careers of Nick Matthew, Peter Nicol, Jonathon Power and David Palmer, see Wikipedia. Details of all Commonwealth Games squash competitors can be found at the Commonwealth Games Federation website. This article is the second in a series. The first article, “Sense / Leaders,” was published previously on this blog. The traditional view of squash is that of a high-intensity racket sport played in custom-built indoor facilities. Centred on the use of these facilities are squash clubs, organised groups of people typically living within the same geographical area. 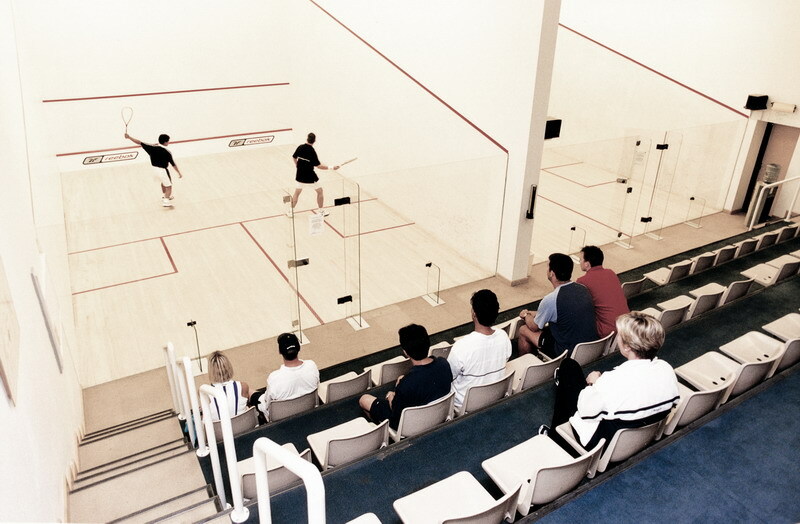 Clubs are viewed as being ordered, with their members being accountable for their behaviour both to their fellow members and to those of a wider squash community. Of course, at any one time, a significant proportion of that community may not be actively participating in their sport whether through injury, accident, design, advancing years or a combination thereof. Yet, participants and non-participants alike potentially share one thing, irrespective of their gender, age, sexuality or ethnicity: the identity of squash agents. Although they may not be aware of it, each, in their own way, is capable of projecting something into the future which will continue to nurture the playing of their sport: squash culture. Squash culture can be thought of as something which endures through, and only through, the sustained interaction of its agents (players and non-players alike) and their interaction with potential future agents. As the lives of those agents play out, as they migrate from area to area, age and die, so the nature of their agency will change as, inevitably, will that of the squash culture it nurtures. Squash culture can exist and be expressed in an almost limitless number of ways. 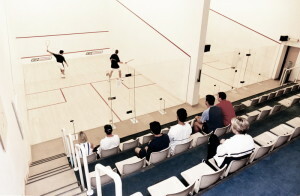 Some forms of expression (such as a squash match) may be common to all squash cultures, whereas others may be uncommon or even unique. In fact, squash culture can vary from population to population, from group to group, and even from person to person. Crucially, squash culture is not just a by-product of the participation of individuals in organised squash activities. It is, in essence, a shared basis for social interaction shaped by the traditions, beliefs, values and knowledge inherited and transmitted by its agents. It is also dynamic and can mutate to occupy different socio-economic niches – rather than static, requiring individuals to conform to universal norms. And it is COMPLEX, its whole being far greater than the sum of its parts. In the context of leadership, squash culture occupies the domain of unknown unknowns, the COMPLEX world of unpredictability. It is the domain to which much of contemporary business and Western public policy has shifted. And it is the world of emergence. In many Western countries squash culture has, to some extent, been viewed in terms of knowable processes and its ‘delivery’ as a by-product of ‘sport development’ activities. However, sport development, more often than not, takes the form of bespoke initiatives targetting specific populations, club memberships or demographic groups for the purpose of bringing about desired social and economic benefits. This kind of approach reflects an ordered ‘cause and effect’ worldview, a SIMPLE world of predictability. This worldview focuses on playing squash (as a teachable skill) and the associated provision of playing-centred ‘participation’ services by squash coaches. In this context, the role of sport development experts is to devise initiatives which have the ‘best chance’ of ‘delivering’ the required participation which will, in turn, (it is believed) result in the desired socio-economic outcome. The role of the expert assumes that contextual differences will exist from one initiative to another and that an analysis of each situation is necessary before a suitable initiative can be devised. The worldview supporting expert-led sport development also assumes an ordered or ‘knowable’ world of ‘cause and effect’ whilst recognising that context is key – a worldview associated with the COMPLICATED domain of leadership. This worldview is well-established in the West and can help to shape initiatives which contribute to increasing participation in certain sports within carefully-selected target populations. However, participation levels in squash and other sports are also naturally subject to change over time as socio-economic environments change and the cultural identities (and behaviour patterns) of individuals mutate. Nature is not ordered and people are unpredictable. In reality, we all live within COMPLEX socio-economic environments populated by competing cultural influences – and cultural agents. In these environments, the ability to detect and act on emerging signs of self-organised squash development is critical. One such sign could be the formation of networks or small groups of individuals to share and discuss ideas for change; another could be the initiation of local ‘social development’ initiatives which incorporate or ‘resonate’ with squash participation. 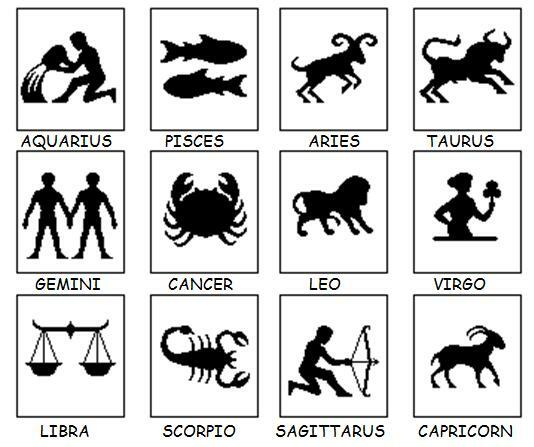 Different signs will inevitably emerge from different socio-economic environments, but they must be sought and, when detected, acted upon. Sustainable squash development will new forms of squash agency – and new breeds of squash agent – to project squash culture. Squash leadership is one of many forms of squash agency. In COMPLEX situations, others will emerge as squash cultures are explored, emerging situations identified, and opportunities for action exploited. So what will this exploration involve, and what will these actions look like? The characteristics of leadership in ordered contexts (SIMPLE and COMPLICATED) are well documented but in unordered, COMPLEX contexts, they are less so. As we have seen above, such contexts are characterised by dynamism and unpredictability, the lack of ‘right’ answers as to how to deal with emerging situations, and the existence of many competing ideas. They are also characterised by the appearance of emergent instructive patterns associated with creative and innovative approaches to squash participation, and of new forms of squash agency – both arising from interactions between interconnected squash agents. The creation of environments and the conduct of experiments that will allow patterns to emerge. These environments will be physical, digital or a combination of both; but, whatever their form, they will support social interaction between squash agents. The stimulation and growth of connection, communication and collaboration activity between squash agents. The opening up of discussions using methods which can help generate ideas. These methods typically work by setting up barriers (to frame discussions), stimulating attractors (ideas which resonate with squash agents), encouraging dissent and diversity, managing starting conditions (to exploit unexpected opportunities), and monitoring for emergence. As will be obvious, leadership in COMPLEX contexts requires much more interactive communication than in any other context. In fact, many of the methods described above are commonly referred to as large group methods (LGMs) and are proven ways of initiating and hosting democratic, interactive, multi-dimensional discussions. Using these methods, populations of squash agents will share their experiences on an ongoing basis, and contribute new ideas which feed directly into leadership awareness. This helps leaders to spot the emergence of ‘weak patterns’ which are the first sign of the effects of changing socio-economic influences. It also complements traditional ‘consultation’ exercises (used in SIMPLE and COMPLICATED situations) which, typically, seek opinions about pre-defined courses of action or ‘strategies.’. Of course, there are dangers in COMPLEX leadership such as the temptation to fall back into habitual ‘command and control’ mode, to look for ‘facts’ rather than to allow patterns to emerge, and to crave the accelerated solution of ‘problems’ or the premature exploitation of opportunities. COMPLEX leadership requires patience and time for reflection. In the next post, we’ll take a look at some of the methods used to detect the emergent patterns which signal change in squash cultures. “A Leader’s Framework for Decision-making” by David J. Snowden and Mary E. Boone is published in November 2007 issue of The Harvard Business Review.